With the recent passage of the Fair Workplaces, Better Jobs Act 2017 and a provincial election coming in June, the conversation on decent work is at a critical juncture in Ontario. Employment standards (ES) are a principle source of labour protection for a mounting number of workers in the province, particularly those in precarious jobs. Yet current levels of protection are insufficient, and the enforcement of existing standards remain weak links in ES regulation. 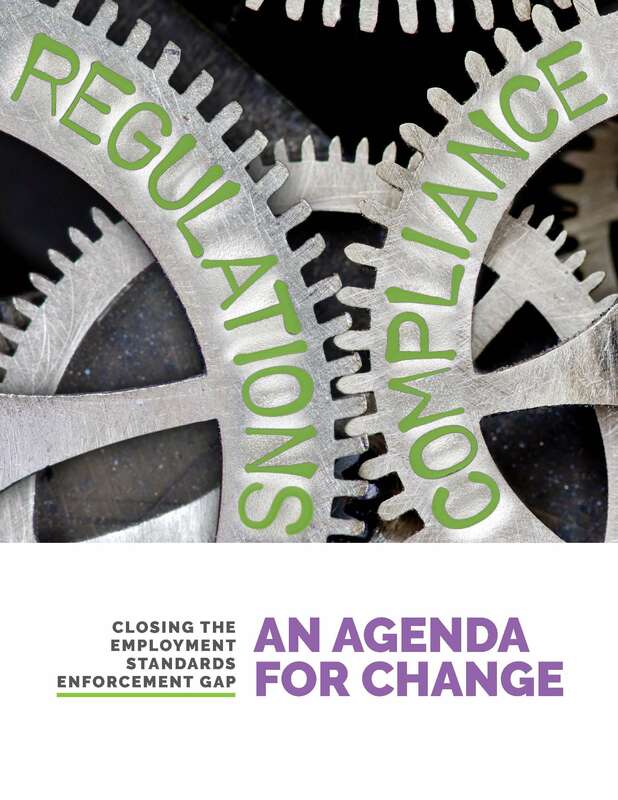 The Closing the Employment Standards Enforcement Gap project is pleased to welcome six eminent scholars with expertise in ES enforcement to Toronto to place the province’s enforcement gap in comparative context. What are the central problems with ES and their enforcement and how can legislation and policy be improved towards their mitigation? What alternative practices might be borrowed from other contexts? This panel discussion is organized by Closing the Employment Standards Enforcement Gap and co-sponsored by the Global Labour Research Centre a York University, the Department of Sociology at Ryerson University, the Department of Political Science at York University, and the Adult Education and Community Development Program at the Ontario Institute for Studies in Education (OISE).